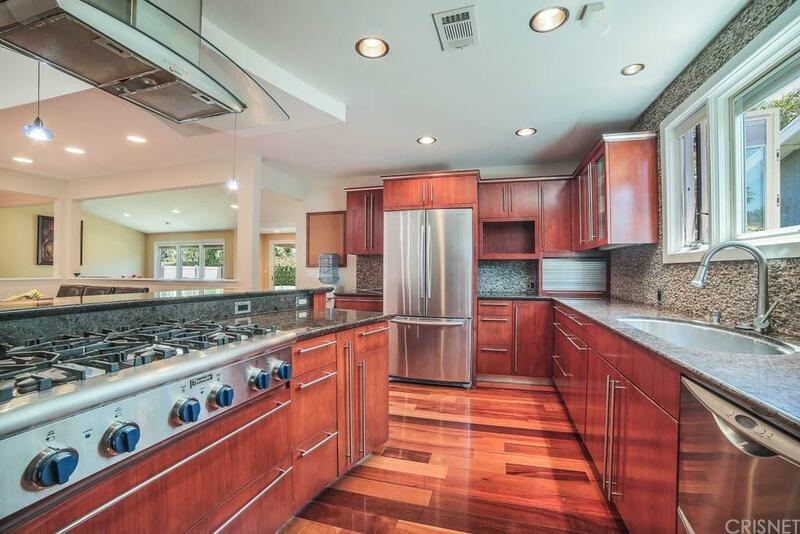 4 bedrooms, 3 baths home for LEASE in desirable Granada Hills neighborhood. Features include breakfast area with skylight, breakfast bar, formal entry with hardwood floors, living room with hardwood floors, recessed lighting and glass slider to covered patio and grassy yard. This home has an open floorplan with large kitchen w/granite counter tops, custom cabinets, hardwood floors, walk-in pantry, large breakfast area and breakfast bar, true formal dining room with hardwood floors.2 master suites! One master is on other side of house with recessed lighting, vaulted ceiling, double mirrored wardrobe closet and a private bath with a custom walk-in tile shower and tile floor. 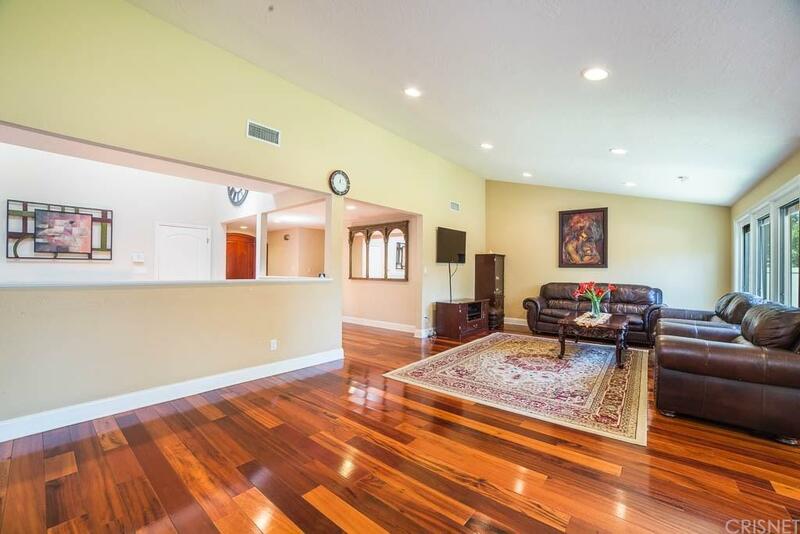 Second master with view of grassy yard, walk-in cedar lined closet, vaulted ceilings and private bath w/3/4 tiled shower. 3rd bath is a full bath with double sinks, tile floor, tiled tub/shower combo. 3rd and 4th bedrooms have walk-in closets, vaulted ceilings and plantation shutters. Dual pane windows, copper plumbing, central air and forced air heating, smooth ceilings throughout, tankless hot water heater, double attached garage with direct access and automatic opener. Located on a lovely quiet street with great curb appeal, this lease won?t last! 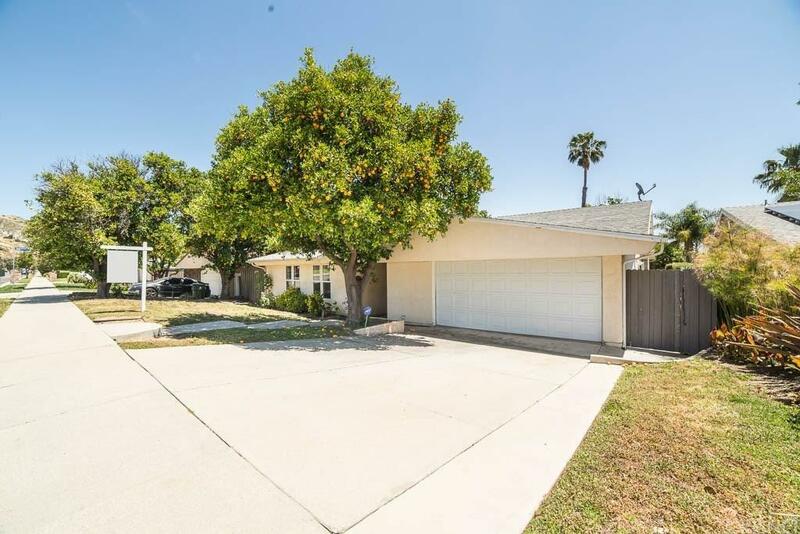 Sold by Trina Brown BRE#01353419 of Coldwell Banker Quality Proper. 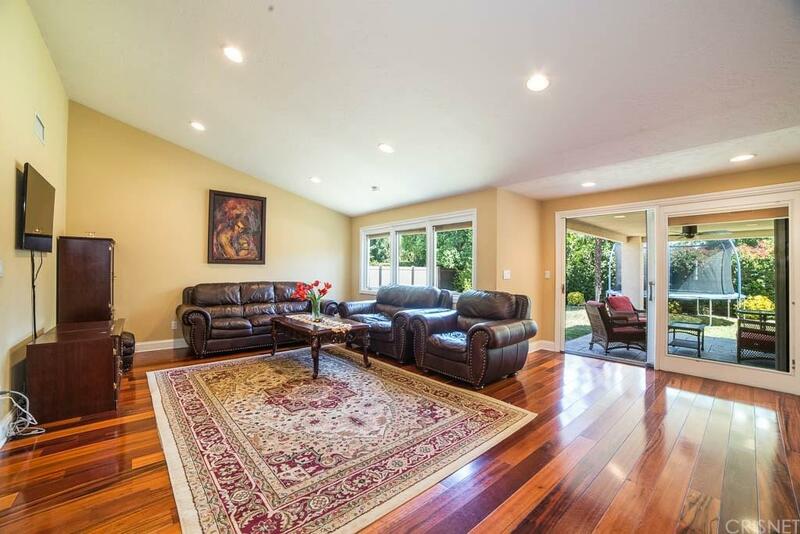 Listing provided courtesy of Mike Harutunyan DRE#01353419 of Rodeo Realty.